The mountain lovers will find in l’Aigualcoll a demanding via and, at the same time, a very rewarding one. Its 200 meters elevation change combine vertical slopes, bridges and some aerial crossings. 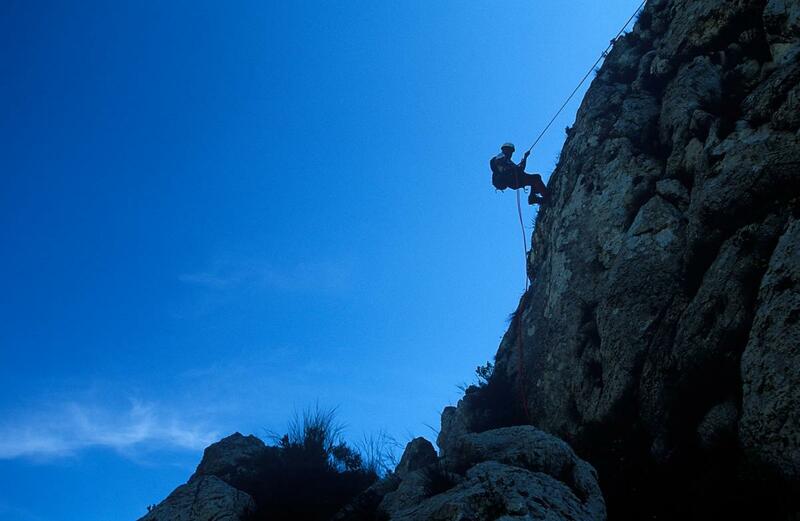 It is a spectacular ferrata and also quite amusing which offers great views of the sea and the coast as a reward. The recommended equipment to do this via ferrata is: a helmet,a harness, a security carabiner, eight spinner lishes and 40 m of rope. The duration of this via ferrata is around 3.5 h.